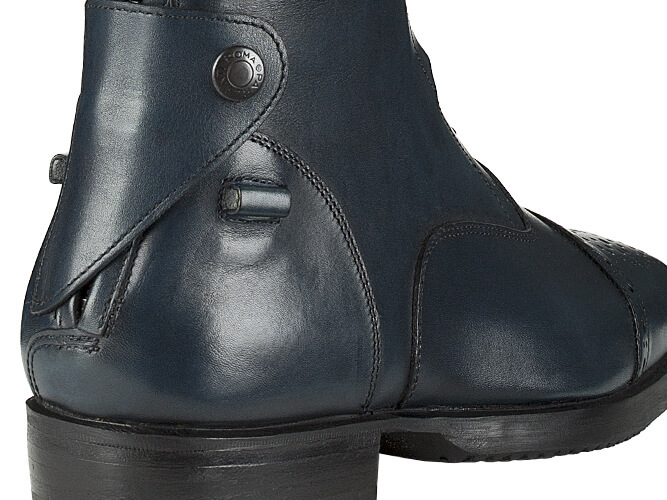 Entirely handmade Jumping Boots made with superior quality calfskin leather. Inside 100% natural calfskin leather lining, elastic laces, back YKK® zipper, glued/sewn genuine leather and Vibram® rubber sole. 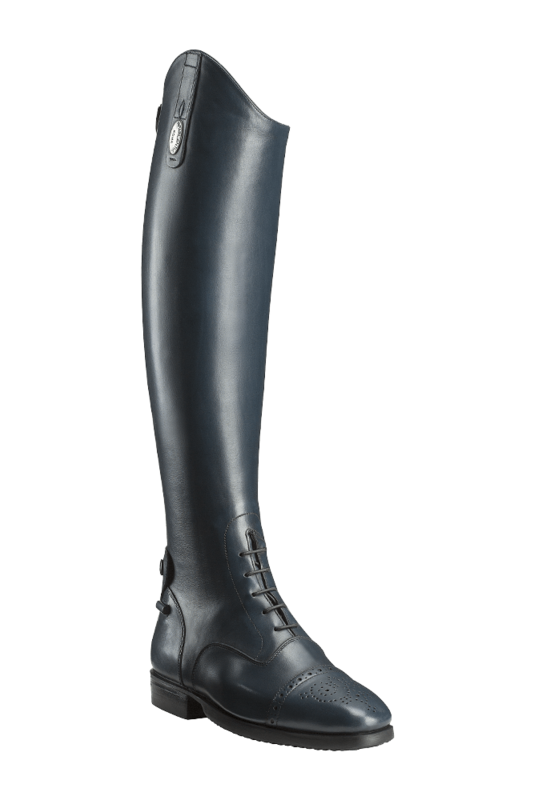 All Parlanti Roma tailored boots are fully customizable to suit the needs of any Rider. 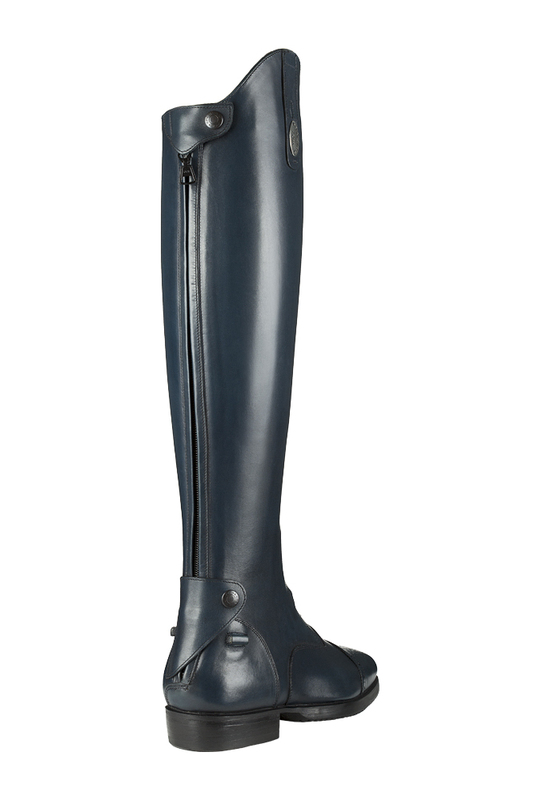 • Picture: Roma Zip jumping boots in blue calfskin, decorative toe top, spur holders and back zipper protection. The pure elegance of the classic. Made with superior quality soft leathers and lined internally in natural calfskin, the leg is the expression of the technique combined with the unmistakable Parlanti Roma style. The YKK® zipper guarantees prolonged use over time and the seams, made of 100% multifilament polyester material, withstand the harshest of stresses. 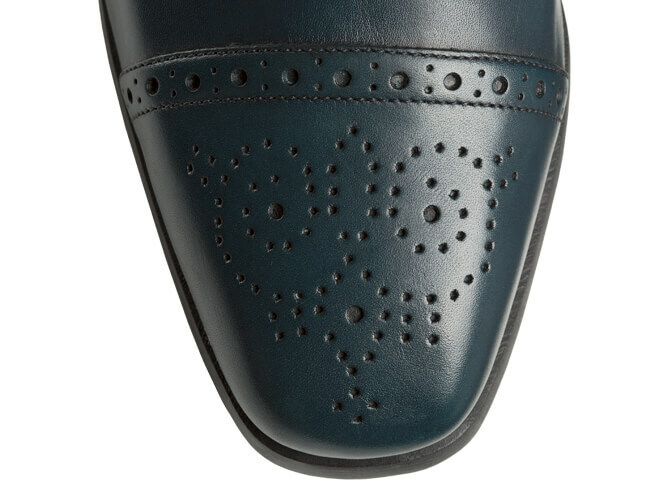 The shoe upper is cut, sewn and mounted on the shape following a rigorous process of meticulous craftsmanship. The most stressed elements of the foot are in genuine leather, in full respect of the principles of the oldest Italian footwear tradition. The anatomic fousbet or breathable leather insoles ensures maximum stability and comfort in every situation. 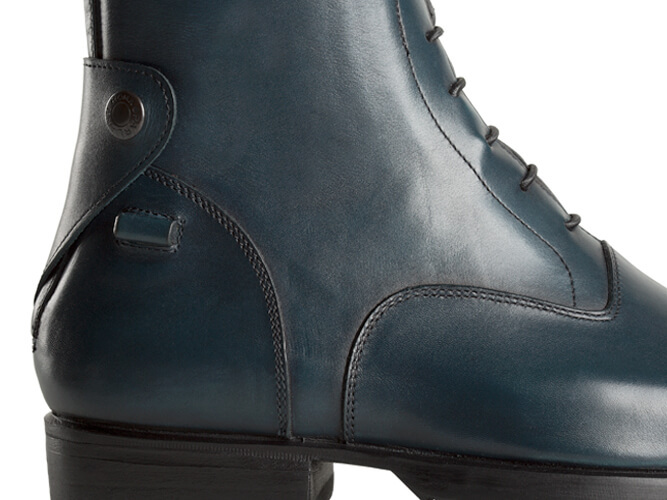 Assembling the sole of a customized product requires particular experience and preparation. As with all our handcrafted products, the midsole and over-heel are made exclusively of real leather and the layers are first glued and then sewn. The Vibram® rubber sole and heel guarantee durability, flexibility and performance at the highest levels. You can order our customized products at our stands, at one of our official dealers or by making an appointment with one of our representatives. Prêt-à-porter products can be purchased independently in our online store. Producing a customized product requires commitment and dedication. From the order reception the production times are about 4 working weeks. Our offices will contact the customer once the product is ready for delivery. In our laboratories there is a specialized department dedicated to the repair of our products. Contact us to receive advice or to get an estimate of the interventions to be carried out. After-sales assistance is assured. Stay connected to our world.